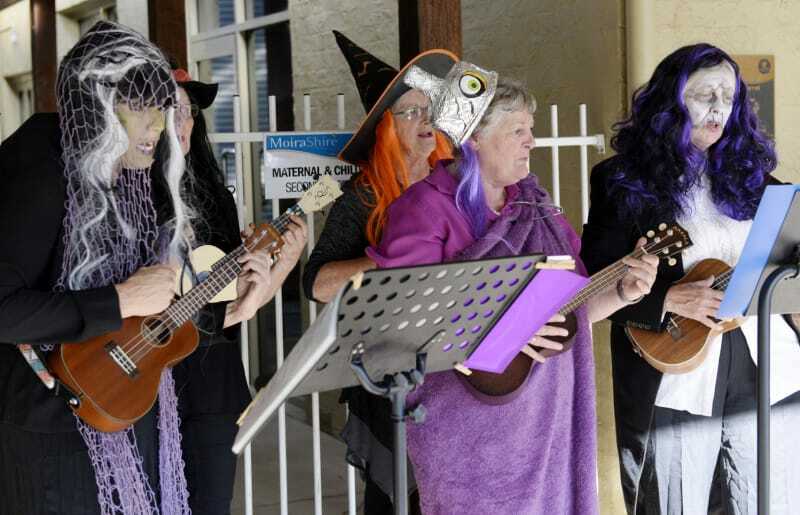 Music to scare by: The Nathalia Ukulele Players entertained crowds on Halloween. 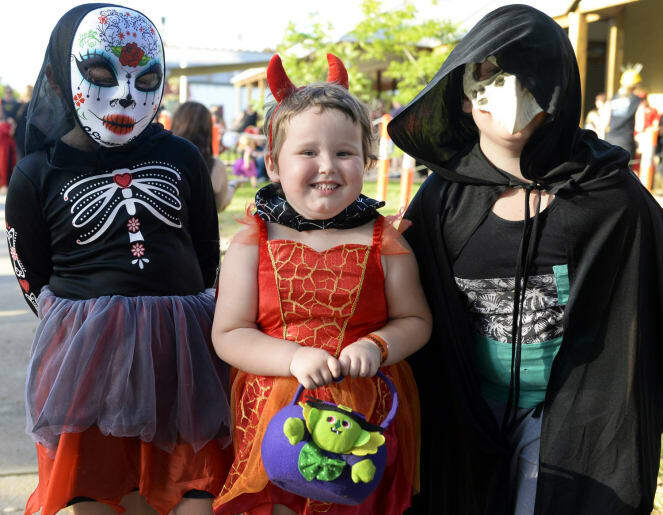 Aisha Guthrie,7, Taylor Sutherland,3, and Declan Sutherland,8, dressed up for the occasion. 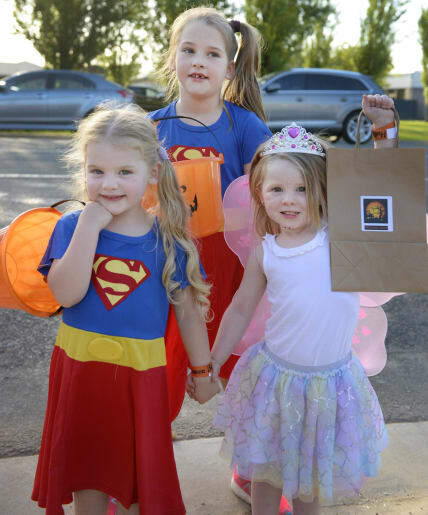 Trick or treat: Hannah James, 3, Lilly James, 7, and Millie Bruce, 4, were excited. 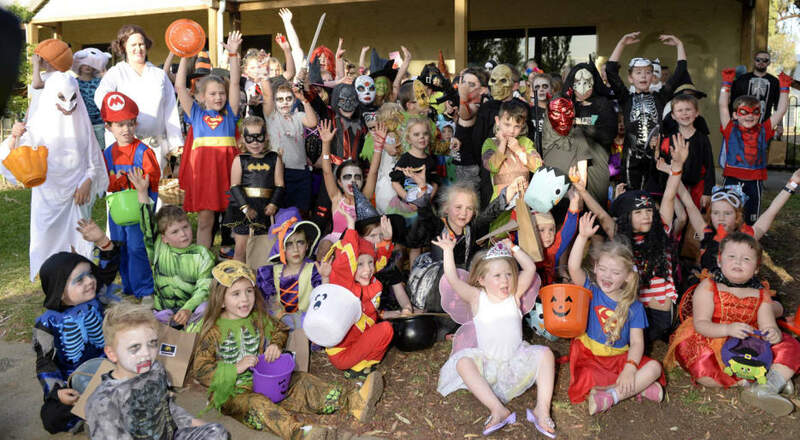 A group of scary-looking children ready to go trick-or-treating. 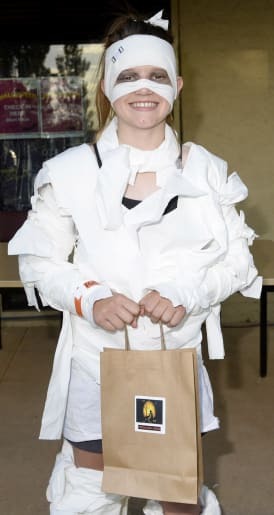 Nightmare: Blake Jeffs, 14, dressed as Freddy Krueger. 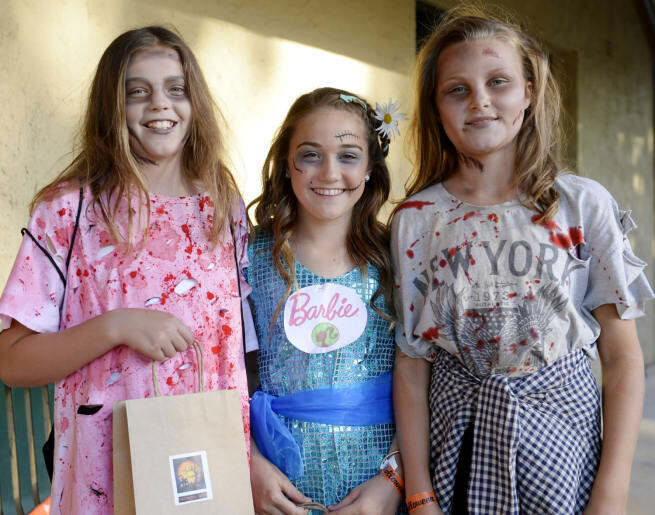 Bridie Wilson,10, Ruby Spiteri,11 and Sophie Creer-Pope,12, were all smiles for the Halloween event. 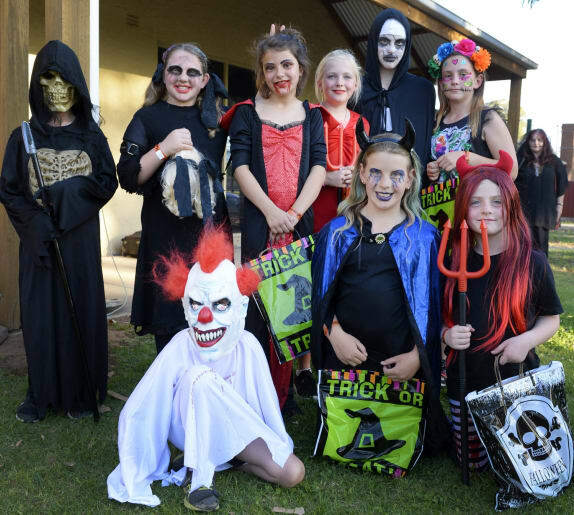 Children came together to create a fright across Nathalia. 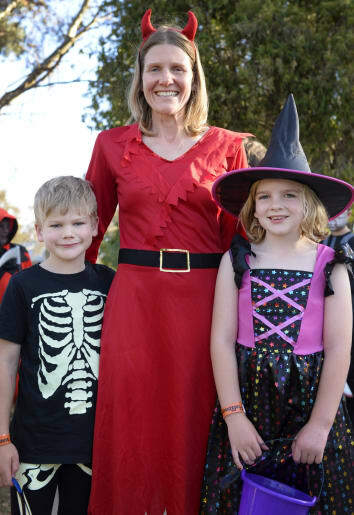 Family fun: Benita Cox dressed up with her son Isaac, 7, and daughter Laetitia Cox, 9.